With 45 years of experience in Aircraft Flight Operations, Personnel Recruiting and Training, Airframe & Engine Maintenance and Records, Flight Department Cost Controls, Aircraft Completions, modifications and upgrades, Bob has the expertise you’re looking for. 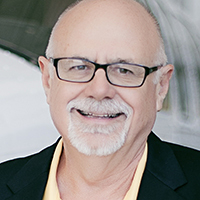 Bob has worked with many aspects of the industry including airline operators, corporate flight departments, private aircraft owners – operators, aviation service organizations, and airframe and engine manufacturers. Bob has strong relationships with the aviation financial, insurance, and legal communities. Dedication to get the job done right, with skill, knowledge, and integrity has been the foundation of his success. Quality – Value for the client and insight into the financial and business aspects of owning and operating business and commercial aircraft has helped his clients for many years. Qualified as an Airline Transport Pilot since 1977 and having logged over 12,000 hours of flight time in over 50 countries worldwide.